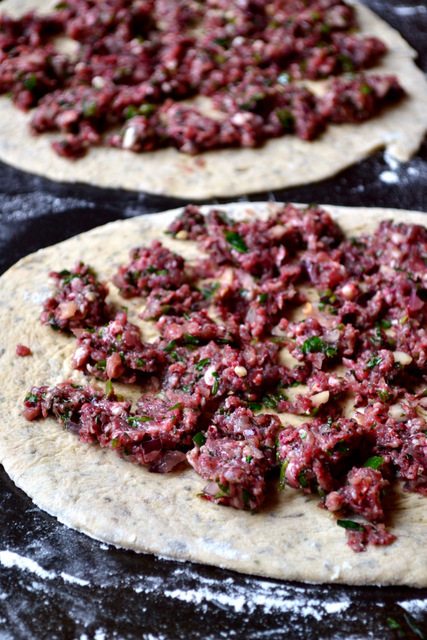 A sort of Middle Eastern “pizza”, Lahmacun is essentially a thin flatbread topped with ground or minced meat (usually lamb) mixed with herbs, onion, garlic and sumac. 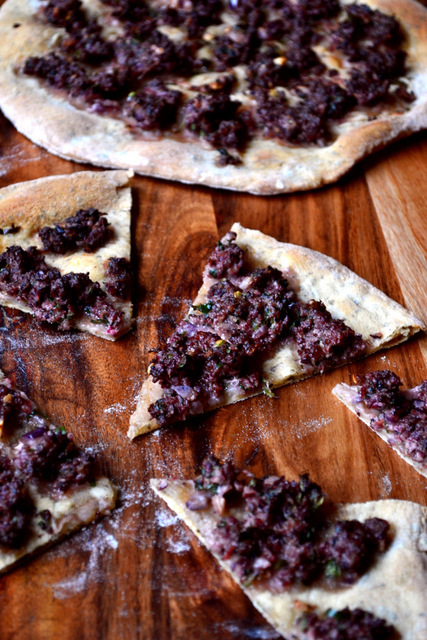 If you thought pizza was easy, Lahmacun will blow you away with its simplicity. With some dough already to hand you could easily produce 4-5 of these – enough for a family – in half an hour. Sumac is an ingredient common to Middle Eastern cuisine. It is the ground fruit clusters of its parent plant – also sumac – of which there are many species. Bright red in colour and tart in flavour, sumac is used to provide a lemony and berry-like quality to numerous dishes such as hummus or tabbouleh. If you are struggling to find a supply of this vivid berry perhaps try your largest supermarket, or any Asian/Turkish markets nearby. It may not have found its way into Western cuisine – yet – but sumac is well worth a purchase if found. Indeed, I’ve been advised that it also works very well in a vinaigrette or marinade for meat. 1. Preheat your oven to 220C/200C fan. Thoroughly mix the lamb, onion, herbs, sumac, garlic, chilli, oil, salt and pepper into a paste. 2. Roll out your dough into two thin and roughly-shaped circles. Spread the paste generously on top of the dough and bake on a metal tray or pizza stone for 5-10 minutes until cooked and golden brown. Sprinkle with lemon juice before serving. Cost: Lamb is a relatively expensive meat, but it can be made to go a long way in this recipe – 150g should set you back no more than around £1.50. In total, these two flatbreads should cost no more than £2.30. What an interesting topping! I don’t know sumac at all but it looks worth exploring. You do surprise me, Rosemary – explore away! This looks delicious. I saw lots of lahmacun on street stalls and markets when in Istanbul recently. Love this kind of food. Thanks, Kay! Street food is fantastic – always enjoyable. That looks good. I used to do something rather like this with allspice (yes, really) before I discovered sumac but I never thought to use it this way. I have tended to use it with hummus or sprinkled on fish baked in parcels. 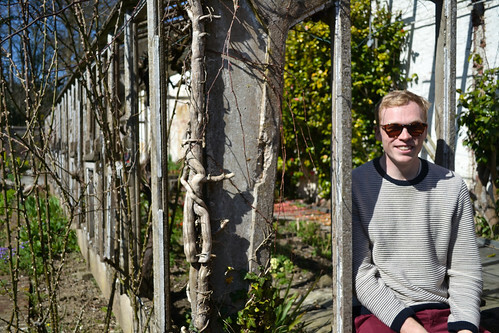 Easy to find in Frome? Impressive. I cycled there recently, didn’t look like a sumac kinda place 😀 (in the nicest sense). This looks delicious! I used to live near an Armenian grocery store that sold these (they called it lahmadjoon). I think their version included a little tomato sauce as well, and the topping was maybe a bit thicker (no bald spots). What a treat to have a couple of those as a snack! Haha – lahmacun is one of my new favourite things. This is the first I have heard of Lahmacun: your choice of seasonings sounds delicious. I only found out about it a little while ago – it tastes great. I used to work at a Turkish restaurant and this was one of the most popular meals on the menu. However, because I was vegetarian I have never actually eaten it (it smelled amazing though!). I have some kangaroo mince in my fridge, I bet that would work too. I’m sure kangaroo mince would work wonders! I hope you enjoy it. 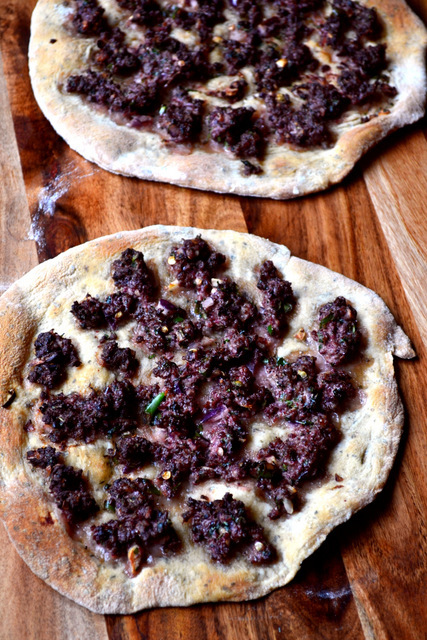 I love love love Turkish pizza – glad you posted a recipe so I can finally get round to making some. Have you tried eating these filled with mixed salad, feta, pickled chilis, yoghurt sauce and lots of red pepper flakes? That was always my favourite way of eating Lahmacun growing up. That’s a lovely idea – I’ll give it a go! Thanks for the delicious tip. This looks scrumptious. My favourite kind of pizza is ‘bianca’ – pizza without tomato, so this looks right up my street… Also loving that it doesn’t take long to make. I love white pizza too – there’s another one on my blog somewhere! Never head of sumac before now but will look out for it next time I am in an Asian supermarket. 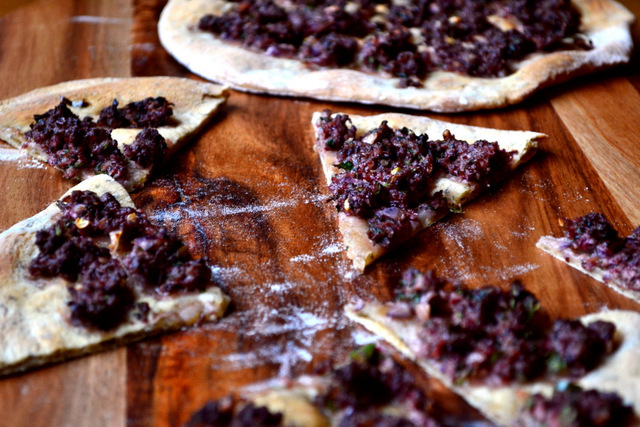 Great way to use up dough – I often have some left when I have made flatbreads for curry. Exactly – we had leftover dough so I made 4 of these in 2 days :D.
This is a big fav here in the Netherlands, and I love love Sumac!! Really – very interesting! sumac is delicious. I keep meaning to try sumac. This recipe looks really pretty and very tasty too! Thanks, Celia! That’s nice – I’ve only seen it in one place here. I’d never heard of sumac, but it looks so delicious I’m going to be on the lookout from now on! Yes, do! It’s a fantastic ingredient. Sumac is available in larger Sainsbury’s – and interesting as it seems to be this years’ “big” new ingredient. I’ve used it in a couple of recipes (a couscous dish and a fattoush dish) and its fantastic! Definitely will be trying these out! I spent ages looking for sumac but finally found some in Borough Market in London. That place is fantastic. There’s a bread shop there, I think it’s run by a French bloke, it has amazing cakes and brownies. Also, there is so much great cheese there. I bought a massive bag of sumac a while back – fabulous way to use it! Thank you – isn’t it wonderful?